You know what it's like when you get something that's just for you - something you absolutely love, something that makes you go Ahhhhh... That's what gifts from Revive will do for you or someone you care about. Now, use the code "WITI" code at checkout to receive 10% off. Visit www.revivenow.com or call 1-877-REVIVE1 (1-877-738-4831). Revive. Gifts that last. Gifts that relax. Gifts that soothe the mind, body and spirit. Join WITI now to be part of our 15th year - our best ever! Catch up on where we've been and plan to join us as we move powerfully into the future! Don't wait; membership dues are scheduled to increase in January. Register today with promo code "CODE" and receive a special 15th anniversary discount! Do you have stress in your life? Most of us do. Especially those of us in technology, where many of us are Type A's: multitasking, fast-talking, over-committed, always in a hurry, adrenaline junkies. You know who you are. Type A's create stress for ourselves and sometimes for others. WITITalk TeleClass Series: "Transforming Your Future" and "Laying The Foundation For Explosive Growth In Your Business/Consulting Practice"
Are you ready to transform your career, your life, or your business? Check out the new WITI Teleclasses - "Transforming Your Future" & "Laying The Foundation For Explosive Growth In Your Business/Consulting Practice". Response to these classes has been enthusiastically positive -- don't miss this opportunity for dramatic personal growth. Classes begin January 8. Register today! Do you make New Years resolutions? I gave up making New Year's resolutions years ago. I found that by about March, not only wasn't I on track to attain them, but I had forgotten what they were in the first place. Resolutions, or declarations, without specific, attainable goals AND action steps to achieve them, create a recipe for frustration and personal disappointment. Shame on Monster.com for publishing Bob Weinstein's article, "IT Glass Ceiling: Permanent Barrier or Temporary Obstacle for Women". While definitely a subject to be addressed, Mr. Weinstein approaches it by asking "What are women doing wrong?" His article suggests that women do not hold more top positions at IT companies because they are uncomfortable with the fast pace and quick decision-making often required by the cutting edge. In short, women do not break through the glass ceiling because they cannot handle the stress and competition. Mr. Weinstein, women are not doing anything wrong. To even suggest that women cannot handle stress demonstrates that you do not know anyone currently parenting a teenager. Rather, it is attitudes such as your own that reinforce the IT glass ceiling. By believing that a woman cannot perform, thrive and excel under the pressure of high-tech, you are holding back the tough-as-nails woman with the vision of IT's next frontier. It is not how women approach the glass ceiling that must change but the belief that women are not cut out for IT. Nor would it hurt to re-examine the attitude that high-competition, high-pressure environments foster more success and innovation than colaboration and consensus-building. The new WITI Watch wants to celebrate those companies who are respectful of and empowering to women and keep you informed about those companies who need to change their ways. How are the companies you interact with doing? How can we as women encourage companies and others to take our contributions seriously? Send us your thoughts and any cheers and jeers or post to the discussion board. On July 4, 1997 the entire world watched as the Mars Pathfinder and the Sojourner Rover successfully landed on Mars. Two months later the Mars Global Surveyor successfully went into orbit around the red planet. Not only were these events two of the U.S. space program's greatest successes, but they may well provide the world with some of the most important scientific data of the 20th and 21st centuries. Donna Shirley was the manager of the Mars Exploration Program and the original leader of the team that built the Sojourner Rover. Now retired from the Jet Propulsion Laboratory, Donna provides speaking, training and consulting in management, especially of creative, high tech enterprises. 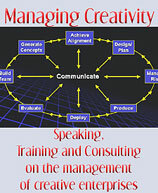 Her company Managing Creativity is a process developed by Donna over her 40 year career in the aerospace industry and academe. Compuware Corporation, a multi-billion dollar company, provides business value through software and professional services that optimize productivity and reduce costs across the application life cycle. Meeting the rapidly changing needs of businesses of all sizes, Compuware's market-leading solutions improve the quality, ease the integration and enhance the performance of distributed, e-business and enterprise software. For more information about Compuware, please contact the corporate offices at 800-521-9353. Search for Compuware jobs on WITI4Hire. NETg, a worldwide leader in corporate education and training, and part of The Thomson Corporation (NYSE: TOC, TSX: TOC), has assembled a full complement of products and services to help customers align corporate knowledge with business objectives. A pioneer in learning, NETg has maintained a steadfast focus on developing a robust and highly acclaimed catalogue of IT, desktop and professional development courses -- including an MBA program. The content of all courses can be delivered in a variety of formats tailored to individual learning styles - including e-Learning, instructor-led training, books and e-Books. NETg's highly interactive blended content is designed to capitalize and leverage client!s most critical asset: people. We are currently looking for a Sr. Software Product Manager who will perform functions to manage project teams engaged in developing software products while maintaining project budgets, schedules, and quality standards. SVASE presents "Corporate Venture Capital 2004 Outlook"